Secular and religious Indians are butting heads over the origin of an important shoal. The ancient Indian epic poem, the “Ramayana”—a foundational text in Hinduism—is also a heart-stopping thriller. Its wedded heroes, Ram and Sita, exiled from their royal kingdom, are forced to live as hermits. Ravana, a 10-headed demon king, entices Sita with a magical golden deer and steals her away to Sri Lanka. It is up to Ram to slay her kidnapper. But first, he needs to find a way across nearly 50 kilometers of ocean between India and Sri Lanka. Standing on the shores of what is today Tamil Nadu, India’s south-eastern most state, Ram, an avatar of the god Vishnu, calls upon an army of warrior monkeys to help him bridge the two coastlines by building a footpath. Five thousand years later, a team of Indian archaeologists is preparing to embark on an underwater expedition to plumb the shallow strait separating India from Sri Lanka. There, a submerged 50-kilometer chain of limestone shoals—known, fittingly, as Ram Setu, or Ram’s Bridge—has become a central fixture in the ongoing debates between secular and religious India. The primary question: is Ram’s Bridge natural or man-made? “It’s a very sensitive matter, because the area is associated with millions of Hindus,” says Dayanath Tripathi, former chairman of the Indian Council of Historical Research (ICHR), which is sponsoring the expedition. But the Archaeological Survey of India (ASI), a branch of the Indian Ministry of Culture—and the main governmental body overseeing India’s heritage sites—argued in an affidavit that Ram’s Bridge is little more than a ridge of sandbanks produced by sedimentation. “There’s no evidence from an archaeological point of view [that it’s man-made]. There’s only the religious aspect,” says Tripathi. In 2013, the canal project was scrapped for an entirely different reason: the projected devastation of the local ecosystem, and a forecast of an increased tsunami risk. With dredging off the table, the dispute over Ram’s Bridge was placed on hold—until now. Alok Tripathi, an underwater archaeologist at Assam University in northeast India, will lead the upcoming expedition, set to begin this summer. Alok Tripathi (no relation to ICHR’s Dayanath Tripathi) worked with ASI until 2009, when he left citing personal reasons. Previously, Alok Tripathi headed the 2007 excavation of Dwaraka, an ancient Hindu holy site that lies submerged off the coast of Gujarat. He says the ASI’s* declaration that Ram’s Bridge was formed by geological processes was made because of inconclusive data. “Without fieldwork, nothing can be said,” he says. But in an increasingly intolerant, nationalistic, and zealous India—whose image abroad has been marred by recent attacks on religious minorities and lynchings of suspected beef-eaters—the maritime expedition is being launched at a particularly charged time. India is a secular republic of some 1.3 billion people, with a diversity of ethnicities, languages, and religions. Yet Hindu nationalism is rising in India’s mainstream. In March, the country’s ruling Bharatiya Janata Party (BJP) won a landslide election in India’s largest state, Uttar Pradesh. The win put a Hindu monk with a history of controversial claims in the state’s highest office. Yogi Adityanath, Uttar Pradesh’s newest chief minister, has publicly endorsed the idea of India as a Hindu rashtra—a Hindu nation. Adityanath’s contentious election has helped resurrect another national debate, one also centered on Ram. In the city of Ayodhya, considered to be Ram’s birthplace, a Hindu temple was converted in the 16th century into a Mughal-era Islamic mosque, known as the Babri Masjid. In 1992, mobs tore down the mosque, triggering a spate of deadly riots that killed upward of 2,000 people. Accused of inciting the crowd was a senior BJP leader, Lal Krishna Advani, who is also a key supporter in the movement to have Ram’s Bridge declared a protected monument. Twenty-five years later, Advani is still awaiting trial on criminal conspiracy charges. The BJP remains committed to returning Ayodhya to its Hindu roots. Subramanian Swamy, the BJP politician who filed the petition to protect Ram’s Bridge, promised in May that the Ram temple in Ayodhya will be rebuilt within the next year. In India, archaeological investigations of religious sites such as Ram’s Bridge risk alienating some faction of the population—no matter the findings by Alok Tripathi’s team. Amid the current tensions, the maritime excavation is venturing into dark waters. *Correction: The declaration was made by ASI, not ICHR. 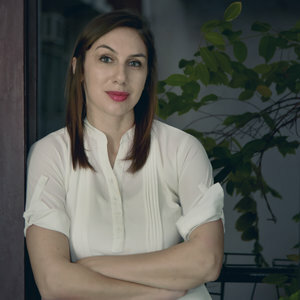 Ariel Sophia Bardi is a multimedia journalist and researcher, currently based in South Asia. Her work has appeared in BBC, the Guardian, Slate, Roads & Kingdoms, the Atlantic, Buzzfeed, Quartz, and VICE. Cite this Article: Ariel Sophia Bardi “God or Geology? The Genesis of Ram’s Bridge,” Hakai Magazine, May 31, 2017, accessed April 23rd, 2019, https://www.hakaimagazine.com/news/god-or-geology-genesis-rams-bridge/. Fishing trawlers are destroying ancient shipwreck sites.